Genevacakes was founded by expat mum Ana Moraleda. The idea came to her when she started looking for the ingredients to bake a cake for her best friend's birthday party. It was 2012 and it was very hard, if not impossible, to find sugar paste in Geneva. The cake she eventually made was so successful that during the party she decided it was the right time to embark on a new business venture. When she started Genevacakes, Ana had zero knowledge about how to run a business, but by dedicating time and commitment, she threw herself head first into the adventure. Before she realised it, she was ordering hundreds of kilos of sugar paste, developing web pages and learning about import/export regulations. 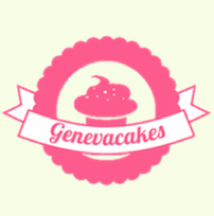 After two months of intense work, Genevacakes.ch went live in December 2012. Following requests from her customers, she went on to open a workshop in Rue de la Navigation in Les Pâquis (Geneva), at first only to give classes and to allow customers to pick up their orders, but eventually opening for direct sales in August 2013. In early 2014, Ana decided to pursue new projects and began to look for someone to take Genevacakes forward. Finally, in August 2014, after a few months of transition, Genevacakes was taken over by Elena Burau and the store moved to 34, Rue de la Servette in June 2018. Always on the lookout for new products and constantly listening to our customers, we want to empower everyone with the knowledge and supplies they need to create their dream cake. We yearn to bring you the widest possible choice (more than a thousand different products, as of August 2014) at the best price. This is the challenge we set ourselves every day! Like many young mothers, it was because she wanted to make her children smile that Elena discovered the wonderful world of cake design. She particularly enjoys decorating biscuits with royal icing and experimenting with pastry recipes from all over the world. An early Genevacakes customer, it was during a discussion with Ana that the idea of joining the company and then taking over was put in place so that Elena could realise her dream and Ana could continue with new projects. Angélique joined us in late 2014 to help with stock: everything has to be in its proper place and in the right quantity. Through her varied experience that goes beyond cake design, she brings to Genevacakes that little touch of organisation and efficiency that allows you to be served more quickly and expertly. She also handles the processing of online orders. Laura, Marisa and Audrey are the team of students who help our customers in-store and allow us to keep extending our opening hours.